We are almost done our first month of 2018 and most of us are back in the Captains chair restructuring, organizing and implementing new business strategies for the year. These next few months are filled with industry trade shows and conventions where companies will showcase their products, processes and fabrications to wide eyed prospectors and investors. This is where I come in. A well executed image in your trade show booth and marketing materials can increase engagement from your prospects. Just google “why you should include images in your marketing materials” and browse a few websites. My clients know the value of custom photography. Photographing their employees and equipment instead of using stock images solidifies the confidence that the company believes in their products and people which is why I do what I do. Like the below image I created while on assignment for www.macleanengineering.com . 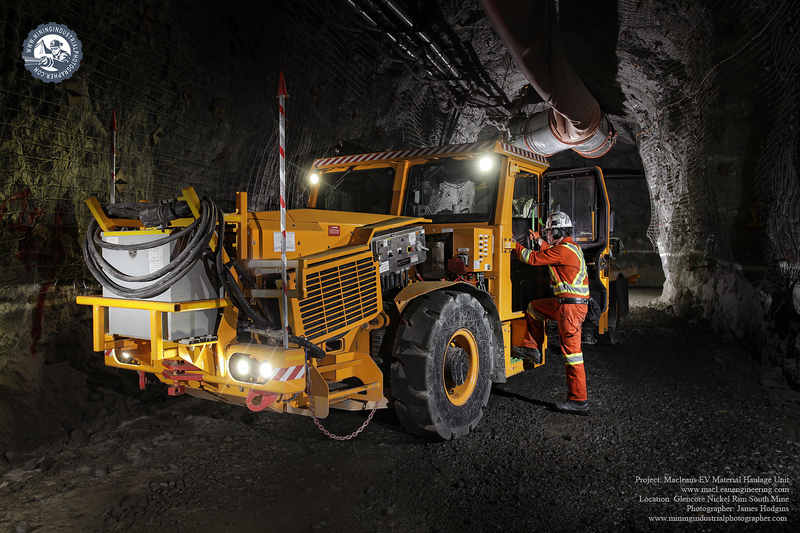 It was a great day underground where I got the chance to create some great portraits and high impact images which Maclean still uses in their marketing force including their website, twitter and linkedin media.